Expectations vs Agreements. When we frame an idea, a problem, or an opportunity, we are choosing our perspective. Look at a “glass as half-empty,” and we start conserving and protecting. Seeing the same glass as “half-full” and opportunity and growth emerge. Our thinking shifts simply by how we choose to look at or “frame” something. “Eat This, Not That… A Leader’s List Of Ingredients To Create Better Communication” is a videos series exploring different concepts, a guide to reframing our perspective on various situations. You can influence from anywhere in your salon. Influencing doesn’t require a title: it only requires certain thinking, behaviour, and skills. Acquire them, and you can lead an entire salon, an artistic vision, education, customer service–or just a better way to do your consultations. Leaving your mark is the most important thing you will ever do. I am here to shift your thinking. Let the first shift be this: It’s not what you are born with that matters. It’s what you do with it. Together we can unleash the possibilities already inside you to surprise the world. Are You Operating Off Of Expectations Or Agreements? Do you have an expectation your people show up at a certain time and on time? Do you have an expectation that they’ll dress a certain way? Do you have an expectation that they’ll support your culture, or do you have an agreement that they’ll show up on time that they’ll dress a certain way and that they’ll support your culture? An expectation is something that you want for someone else that they may not want for themselves. An agreement has a what, by when, with consequences, and those consequences can be positive, and they can be negative. Are you operating off of expectations that you have? Or agreements that we have? Catch the next “Eat This Not That, A Leader’s List Of Ingredients To Create Better Communication” video in 2 weeks! And to get your copy of my book “Leave Your Mark,” click here. In my Salon Owners Summit presentation entitled “Trust is the New Currency,” I will speak on delivering exceptional client satisfaction and using trust as the key to attracting & retaining loyal staff and clients. To secure your tickets today, click here! The Salon Owners Summit is leaving its home in Dublin to bring salon owners and their teams together for a first Roadshow stop in Chicago! Expect a full day packed with talks from the greatest minds in the world in business, customer service, marketing and management. For speaker bios and more information, visit the official website! You do not need to be a Phorest Salon Software client; the experience is open to all! Jay Williams has over 25 years of experience across a wide variety of disciplines. With a focus in delivering exceptional client satisfaction, Jay has helped numerous clients achieve desired business outcomes through his leadership and contributions in the areas of sales, client services, and executive coaching. Jay has worked for world-class hair brands, thriving distributors, educational institutions, and one-on-one with thousands of leaders. 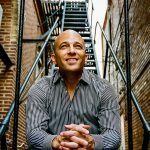 A frequent speaker at industry events, Jay's warm and humorous... and at times irreverent style engages audiences in a way that keeps them on the edge of their seats, gives them confidence, and shifts their thinking. He understands their challenges and opportunities from their point of view and draws on his rich experience to help them unlock their potential and fuel their passion.